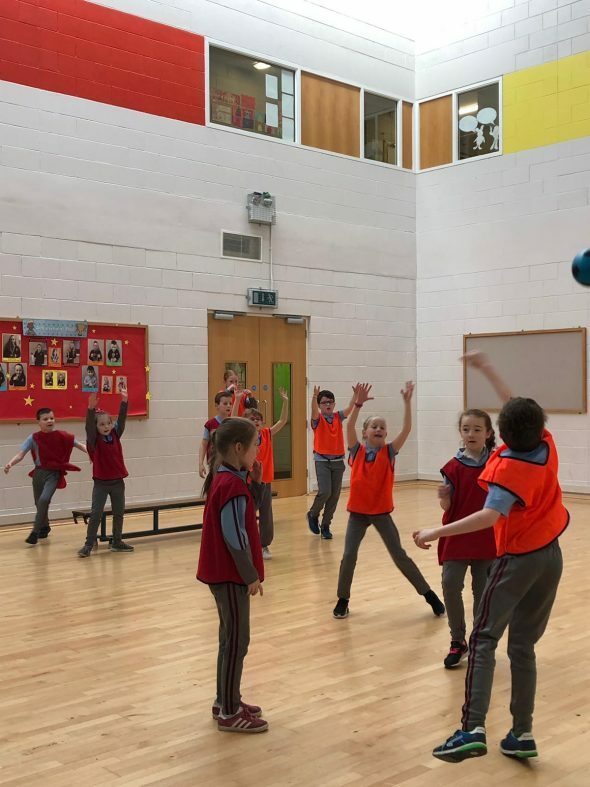 Ms. McCloskey’s 2nd class have been busy learning the skills of basketball by playing bench ball. This is a fun game where one child on each team acts as the basketball net by standing on a bench. The goal is to get the ball to this child to score points. You can see Ms. McCloskey’s class having great fun playing bench ball in the photo below.